Identify and manage jobs suitable for combined production. Use this tool to gang similar jobs together, but without compromising the integrity of the financial billing and shipping requirements. Costs captured against the ganged job are automatically apportioned based on finished size across all the components that go to make up the production job. Job ganging offers seamless integration to the award winning imposition software, IMP, allowing you to optimise sheets based on standard rectangles, 1-UP CAD files and using PDF files. 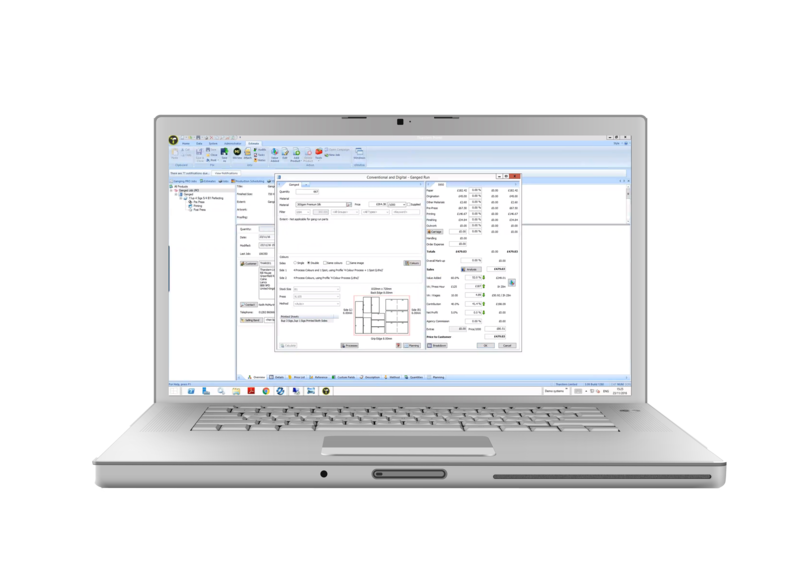 Tharstern job ganging also offers integration to EFIs Metrix software. Combined with IMP, jobs with common finishing processes like lamination, coatings, foiling etc. are grouped on one side of the layout. Jobs to be ganged are automatically removed from the planning board and replaced by a new ganged sheet. The module calculates how much of each ganged sheet was used by each individual product and then apportions this cost back to the original job. The module integrates the ganging process into the Prepress workflow, with MIS users retaining remote approval and receiving page level impositions.